I've reached the midway point of my Crowdfunder - thanks for the amazing support so far! I've made it to 40% of my target which is amazing, but with 2 weeks to go, things are starting to slow down a little, so I need your help to keep the momentum going! Please share on social media, or forward this to friends so that I can get closer to my goal of growing my own dye plants. 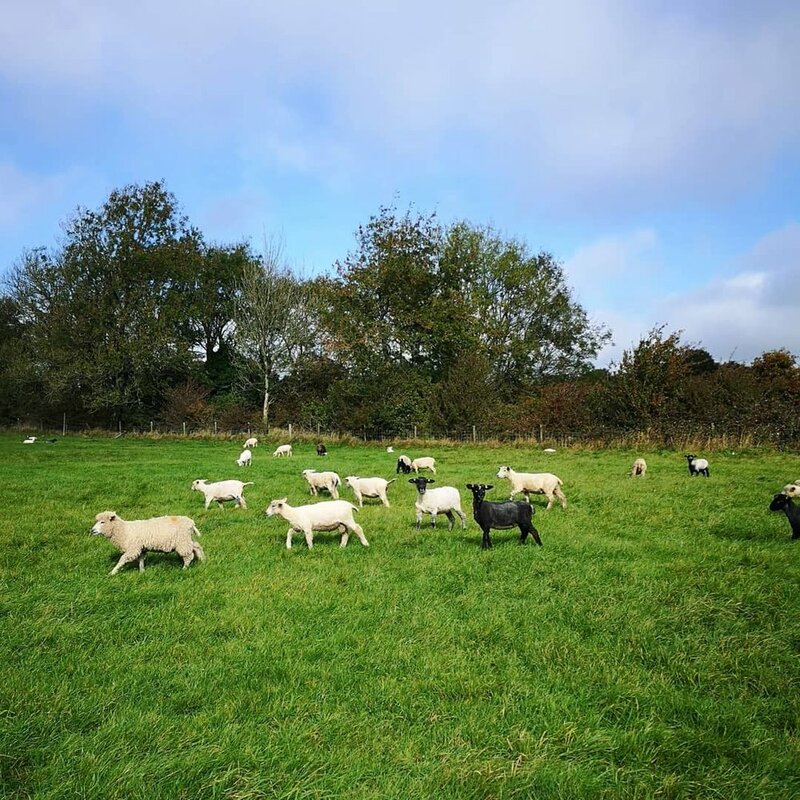 On Tuesday I visited Fernhill Farm and met lots of very cute, very happy sheep whose wool I am hoping to get spun in yarn for my knitwear! This would massively increase the traceability of my raw materials and go towards making an even more sustainable product - you could even visit the farm yourself and meet the sheep that made your jumper. As they are based just outside of Bristol, using their yarn would also massively decrease the carbon footprint of my yarn. Using this local, renewable resource combined with colour from my own dye plants would make for a truly local, sustainable product!